On Sunday, February 27 the Gateway Center is pleased to announced that Brian “Head” Welch, former head guitarist of the metal band KORN, will be speaking at the Gateway Center. This event is UNDER 21 only. Brian Welch has a powerful story of overcoming addictions to drugs and alcohol through a relationship with God. He has written three NY Times bestselling books. Bands DISCIDIUM and TO THE SKY will also play. Doors open at 5:30pm. Cost is $1. UNDER 21 ONLY. 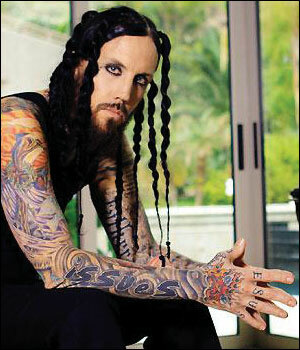 Brian “Head” Welch will also be speaking at the Crown Theater at 4pm (this event is open to all). Tickets are $10 in advance and $12 at the door. Please call (716) 487-1488 for more information.